Circular Heat Sealer. 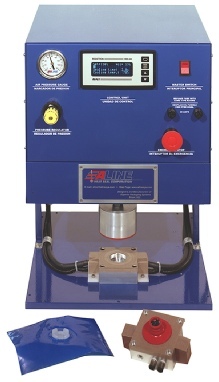 These Circular Heat Sealers, heat seal presses: are used for specialty circular heat sealing applications such as heat sealing a circular ‘port’ or fitment onto material. Thermal bonding of circular objects, circular seals can be made up to 48 inches in diameter. Impulse and constant heat sealers. High pressure heat seal jaw. Circular heat sealer presses can be used in the manufacture of medical and industrial products, for port and fitment sealing. 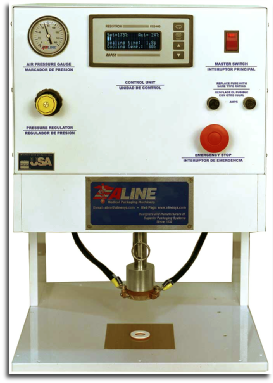 The circular heat sealer press can be provided with validatable heat seal controls.